CLEVELAND – Monday is most certainly a ‘do or die’ for the Indians. The Tribe is going to need all the help they can get on Monday to beat Houston to avoid a three-game sweep in ALDS. One thing noteworthy is record more than three hits. The Indians lost the first two games in the series at Minute Maid Park in Houston. Today will be a tough task for the Tribe. Knowing to have to get the bats alive. Before coming home, Indians would need a split or be up 2-0 in Houston. Well, Astros had a different story. Now, Tribe facing a 0-2 deficit. Remember last year, the team was up 2-0 against Yankees, but Bew York came back in series. Knowing it’s a whole different story but offense need to come alive to have a shot in this series. Terry Francona said he’ll start Yandy Diaz at DH, move Edwin Encarnacion to first and start Brandon Guyer in right field. Melky Cabrera and Yonder Alonso will at least get a day off, but both are combined 1-for-12 this series. Usually, their number six and seven hitters in the lineup. Good thing that Guyer can hit off lefties this season. Hitting .233 with five homers and 17 RBI against lefties during the season. He’s hitting .400 (6-for-15) against Keuchel in his career. Diaz is hitting .289 with six RBI against lefties this year. 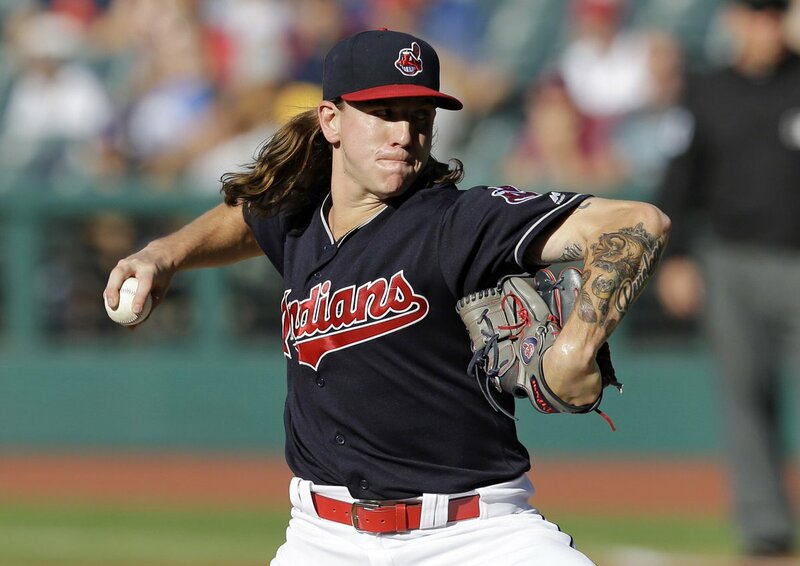 Indians starter Mike Clevinger will be making his seventh playoff appearance, and first career start for the Indians. Clevinger made two relief appearances in last year’s ALDS against the New York Yankees. This season Astros are hitting .349 against Clevinger in two starts this season – both losses.